Yes I am now back, and I must apologize for disappearing so long. I have been away on a trip to the UK, through which I permitted myself to consume gluten, in order fully enjoy my holiday. I must admit I have somewhat been dreading and putting off my inevitable return to the gluten-free diet; I was unable to continue the diet straight away upon return as planned. During my return to gluten I have had five prominent observations, which I would like to share. Well it is perhaps no surprise that just as easily as I experienced weight loss when I began gluten-free dieting, I consequently gained said weight back once I stopped. Upon arrival to the UK I weighed myself in at 57.5 kg. I had lost nearly 2.5 kg in the past 3 weeks from my diet. This was the quickest weight drop ever for me; I knew I lost weight, but was rather surprised by just how much! However, just a week and a half later I was up to 59 kg; I am now back to the original weight that I started at. As I have articulated on before I believe the weight loss has to do with 2 things. To clarify, I don’t believe that going gluten-free is necessarily an effective diet plan; many gluten-free foods are unhealthy such as m&m’s, blocks of cheese, most flavors of Hagen Das etc. The first reason I believe I lost weight, was that eliminating gluten frequently leads to decreased carbohydrate consumption, this is of course with the exception of rice, and other gluten-free grains. Carbohydrates in my experience are the largest cause for weight gain. Next, since there are so few gluten free options in Hong Kong, I sadly believe I experienced a great deal of weight loss from momentary bouts of starvation. When I reintroduced gluten into my diet I was instantly consuming both a larger amount of carbohydrates and additionally all food options were again at my disposal. I believe restricted food access was the biggest cause for my extreme weight loss. The first morning I was allowed to eat gluten I went directly to the Popeyes in the Hong Kong Airport and proceeded to eat a rather gross breakfast of scrambled eggs, fried chicken, and biscuits (though the biscuits were good!). This certainly foreshadowed events to come. As goes with most restrictive diets, the moment I was liberated from its chains, I ate whatever I wanted, whenever I wanted. It turned out that many of the things I craved were unhealthy, to say the least. I began binging on fast foods, all sorts of gluten rich products, and more; the world was my oyster. These reckless eating patterns both contributed to my weight gain, and reflected how one copes when transitioning from a very restrictive eating space to a very liberal one. The experience reminded me a great deal of how I dealt during my 3 weeks visit fom Hong Kong back to my home in Madison, WI, US. Though it has its faults, I would consider Hong Kong, a more health conscious location than the Midwestern United States. Food portions here are smaller, whereas people back home eat enormous amounts of unhealthy food – I wasn’t too sure how to control my eating, and as a result was horrendously bloated many times and gained a quite a bit of weight. Diets can be individualistic and collective in nature. The diets that we take on as individuals as well as the food culture within a society, impact both our weight as well as our decision making processes. Diets can help to keep us from reckless abandonment, however food cultures too also help us deem what is the appropriate amount for consumption. When we strip ourselves of internal or external defenses, we can be left with somewhat sporadic and glutinous eating patterns. It was impossible not to notice how much easier it was to socialize again. In the UK I was really only visiting with my significant other, so at first I didn’t take notice of this. That being said, it was largely the social pressure put on myself from her to eat everything that led me to discontinue my gluten free diet for this time. Once I got back to Hong Kong the social liberation became more pronounced. While I had intended to start the gluten free diet immediately, the need to catch up with friends left me stalling. I kept putting it off.. The delay led me to ultimately realize just how much my gluten-free diet had impeded my social interactions and plans with others. Once I started to eat gluten again I was free to make plans, when I wanted, with whomever I wanted, wherever I wanted. I no longer was forced to explain my diet or modify my social activities accordingly. This renewed ease in socialization was certainly liberalizing. I now can empathize and understand just how great of a toll having gluten allergies or celiac disease has on one’s social life. As you know I was not gluten free while staying in the UK. However, I could not help but realize just how much easier it would have been for me to follow the diet there. Wherever I went there seemed to be accommodations for gluten-free and allergy eaters. In the grocery store all gluten free products were clearly labelled. 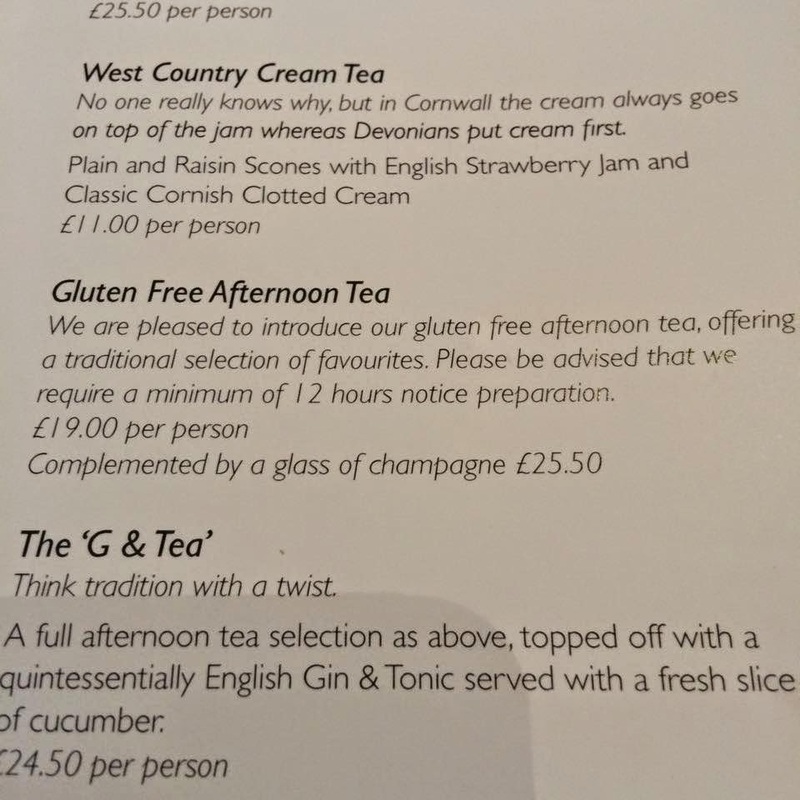 In the restaurants, dishes would be specified as gluten free. Even the cheapest eating establishments had signs advertising their ability to make gluten and allergy free food dishes. It made me think just how much easier it would be to be a gluten-free eater in countries like the UK or the United States. 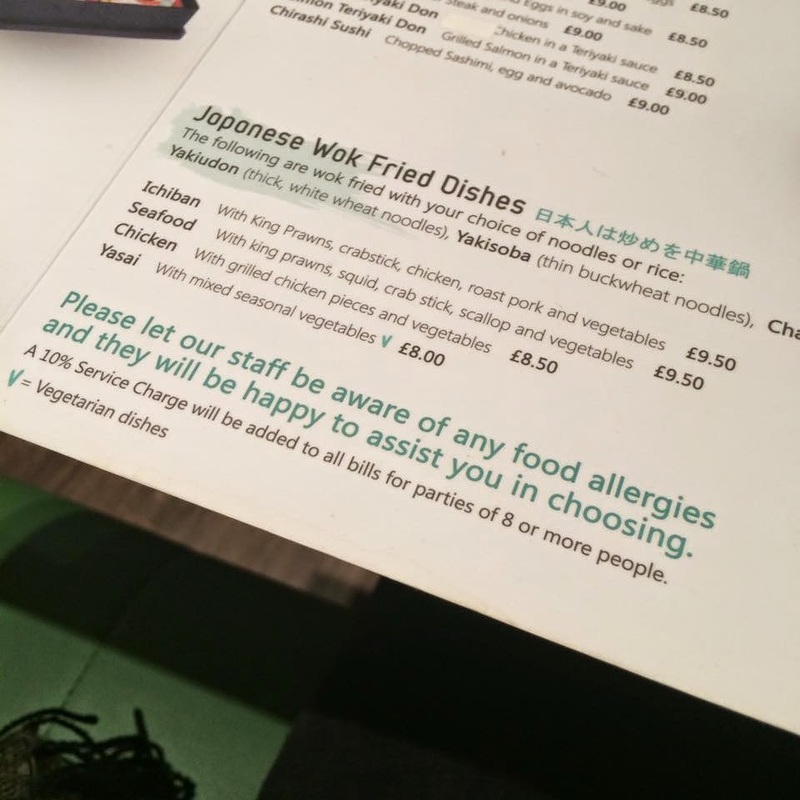 Living in a country where both grocery stores and restaurants consider your allergies could make all the difference. The last thing I have noticed, is just how hard it is to get back in the swing and return to the gluten free diet. Though I have been back for nearly two weeks, Tuesday was my first day to return to the gluten free diet. I kept finding reasons to put it off, whether it was an upcoming get together with friends, or I had forgotten to pack a lunch for school. No matter what there is always some great excuse to eat gluten! I must say that going gluten free in Hong Kong has definitely been the most difficult diet and lifestyle change I have ever undergone, and I am pretty experienced with dietary changes. I’ve done vegan, vegetarian, pescatarian, sugar free – you name it. This is truthfully the most challenging diet ever (though I suppose raw diet might be more challenging, I have not tried this yet). It would be one thing to just avoid the products we associate with gluten such as bread and pasta, but the real killer is the hidden ingredients found in seasonings and sauces. Being gluten free is the most tedious diet I have tried for this reason. Gluten seems to have infiltrated itself everywhere! Without some sort of regulation or proper labeling system in Hong Kong, undertaking this diet here is a serious challenge. Regardless of setbacks I am back on the gluten free train today, I will be going gluten free again for three more weeks. Though going of the diet forced me to slow down my embodied research progress, it also allowed for me to perceive the diet in two separate geographical spaces. Similar to personal cultural identity, I find that the diet itself can exist in a diaspora of sorts, fitting well inside of one country and feeling an outcast in the next. It's back to being an outcast for now, wish me luck!